In September 2016, illegal hacking group Fancy Bears published documents containing a number of Therapeutic Use Exemptions (TUEs) held by Sir Bradley Wiggins. Evidence later emerged that British Cycling spent £1,263.90 to send Women’s road coach Simon Cope to France for one day to deliver a package to Wiggins at the end of the 2011 Critérium du Dauphiné. An allegation was made that triamcinolone was in the package and not fluimucil, as had been claimed. 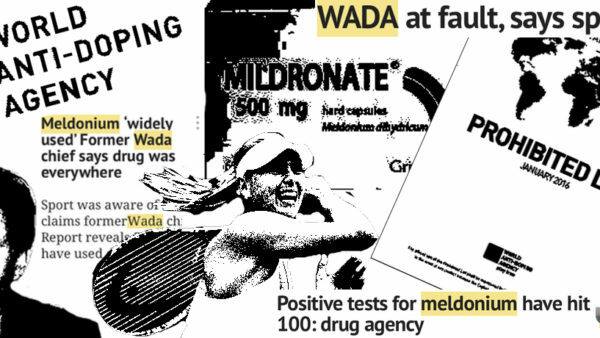 Fluimucil is not prohibited in sport, but was not licensed for use in the UK at the time. Triamcinolone is permitted out of competition, but not in competition. UK Anti-Doping’s (UKAD) evidence summary states that the package was delivered to Dr. Richard Freeman on 12 June 2011, and Wiggins recalled being treated with fluimucil on the evening of 12 June. The Critérium du Dauphiné had finished that day. As such, even if the package did contain triamcinolone and not fluimucil, there may be no case to answer. On 15 November 2017, UKAD closed its investigation into the matter due to a lack of evidence. ‘UKAD remains unable to confirm or refute the account that the package delivered to Team Sky contained fluimucil’, read a statement. 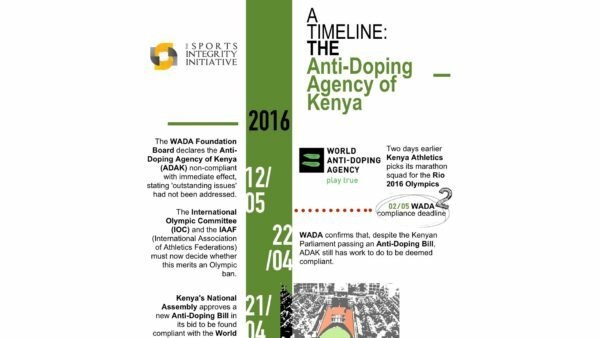 ‘It follows that UKAD does not intend to issue any anti-doping charges in relation to the package’. However, the matter was not over. ‘UKAD became aware of information that it considered to be of possible interest to the General Medical Council’, continued UKAD’s statement. ‘UKAD has shared that information with the GMC’. The Medical Practitioners Tribunal Service (MPTS) will next month host a hearing into whether Dr. Richard Freeman, formerly a doctor for British Cycling and Team Sky, is fit to practise medicine. Ahead of that hearing, BBC Sport has obtained an email exchange between Freeman and a medical supply company. The MPTS is due to inquire about an allegation that, on 16 May 2011, Dr. Freeman ordered 30 sachets of Testogel from Fit4Sport Limited for delivery to the Manchester Velodrome. It is also alleged that on 18 May 2011, Dr. Freeman made false statements denying ordering Testogel, containing the prohibited substance testosterone, advising that the order had been made in error. It is further alleged that in October 2011, Dr. Freeman instructed Fit4Sport to send written confirmation that the order had been sent in error, returned and would be destroyed by Fit4Sport, knowing that this had not taken place. 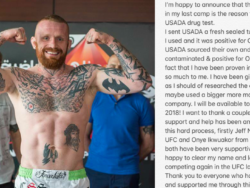 It is alleged that Dr. Freeman showed the email to others in order to back up his claims, and that in an interview with UKAD he falsely claimed that Testogel had been ordered for a member of staff and returned to Fit4Sport. 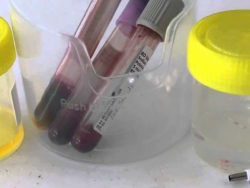 The October 2011 email, sent five months after Dr. Freeman allegedly ordered the Testogel, has been obtained by the BBC. The email appears to confirm that the company, which lists Team Sky as one of its clients on its internet site, received the Testogel back from Dr. Freeman and destroyed it. In March 2017, The Sunday Times reported that UKAD investigators had taken a delivery of testosterone patches, understood to be the Testogel concerned. Dr. Steve Peters, formerly Head of Medicine at British Cycling and Team Sky’s Clinical Director, told The Times that the patches had been sent in error and had been returned. The newspaper reported that Dr. Freeman had told UKAD investigators that the patches were not for use by riders. The use of testosterone patches in elite cycling is well documented. In his affidavit to the US Anti-Doping Agency, Tyler Hamilton admitted using testosterone patches under the direction of Dr. Michele Ferrari (see right). He also documents use of testosterone patches in his book, The Secret Race. In an interview for The Sunday Times in January 2011, Floyd Landis told Paul Kimmage that he had also used testosterone patches (click here for Velo News’ transcript of that interview). As mentioned, Dr. Steve Peters was formerly Head of Medicine at British Cycling and Team Sky’s Clinical Director. He was also the Team Sky psychiatrist and has worked with a number of sporting organisations, as his profile reveals. 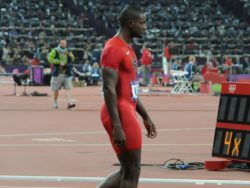 He is also a very successful Masters athlete, and is Chairman of the Anti-Doping Committee for World Masters Athletics. Fit4Sport Limited has told the BBC that it will not comment while proceedings are ongoing. The company is registered with the Medicines and Healthcare Products Regulatory Agency (MHRA). Testogel is not listed as a product on the company’s internet site, however its product catalogue makes clear that it will arrange bespoke orders of pharmaceutical products. The dosage of Testogel described in the email exchange between Dr. Freeman and Fit4Sport matches that prescribed to him by Dr. Mark Bonar, cyclist Dan Stevens has told The Sports Integrity Initiative. 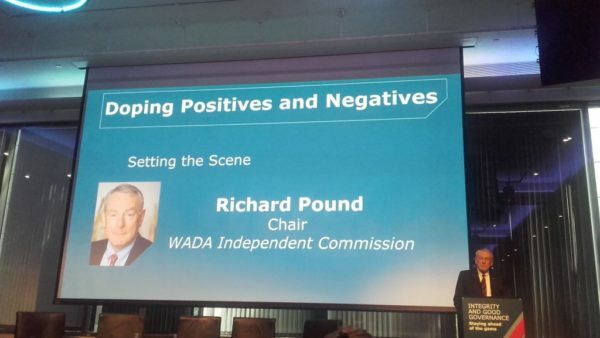 Information about Dr. Bonar was given to UK Anti-Doping (UKAD) in 2014 by Stevens, who in 2015 went to the Cycling Independent Reform Commission (CIRC) after UKAD decided that his evidence did not warrant a reduction for ‘substantial assistance’ as defined in the World Anti-Doping Code, and issued him with a two-year ban. UKAD subsequently reduced the sanction after the CIRC recommended reducing Stevens’ ban, but did not publicise its decision. In an April 2016 Sunday Times exposé, Dr. Bonar was recorded stating that he had supplied substances to over 150 athletes, including Premier League footballers, an England cricketer, British Tour de France cyclists, a British boxing champion, tennis players, martial arts competitors and more. UKAD was later found to have failed to pass information on Dr. Bonar to the GMC, despite a note on the file instructing staff to do so. “There was a note on the file that it should have gone to the GMC”, former UKAD Chairman David Kenworthy told the Culture, Media and Sport (CMS) Committee of the UK Parliament on 14 June (video below) 2016. “For some reason, it didn’t go”. Kenworthy also told the CMS Committee that no staff members had been disciplined as a result of the failure. 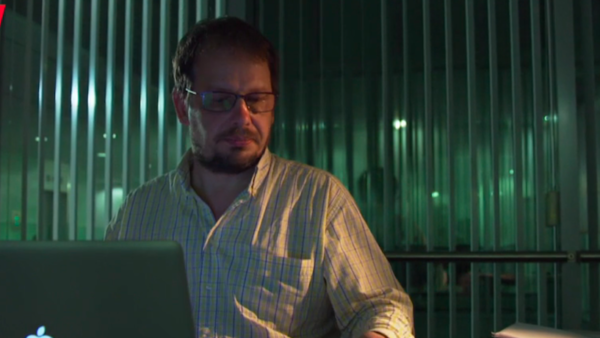 Dr. Bonar was suspended on 7 March this year, following a separate MPTS hearing. ‘His prescribing medication in direct contradiction of the prescribing guidance amounts to a deliberate and reckless disregard for the principles of GMP [general medical practice] and patient safety’, read the decision (PDF below). ‘By prescribing a drug which was contraindicated, Dr Bonar could have caused Patient A serious harm, and prescribing medication which was not clinically indicated was an abuse of the trust placed in him by his patient and by the public’. The MPTS will also examine allegations that Dr. Freeman inappropriately provided medical treatment to non-athlete members of staff at British Cycling and Team Sky. It will also examine that Dr. Freeman failed to maintain an adequate record management system, which meant that records on a laptop, stolen from him on 27/28 August 2014, could not be retrieved. In 2016, Dr. Freeman told the DCMS Committee that although a paper-based records system was in place during 2011, he kept his records on his laptop. UKAD previously confirmed there is a record that Dr. Freeman’s laptop was reported to British Cycling as stolen. However, irrespective of the stolen laptop, it is understood that the MPTS will be keen to hear about why Dr. Freeman kept records of treatment administered to elite athletes on his laptop only for almost three years. GMC Guidance requires doctors to make records ‘at the time the events happen, or as soon as possible afterwards’. It also requires doctors to store patient records securely. ‘If you are responsible for the management of patient records or other patient information, you should make sure that they are held securely and that any staff you manage are trained and understand their responsibilities’, reads GMC guidance on confidentiality. ‘You should make use of professional expertise when selecting and developing systems to record, access and send electronic data’. In March last year, the Combatting Doping in Sport Report (PDF below) was published by the DCMS Committee of the UK Parliament. It stated that it ‘believed’ that British Cycling and Team Sky had abused the TUE system to improve the performance of key athletes. The Report alleged that Team Sky used triamcinolone to prepare Bradley Wiggins for the Tour de France, and the purpose of this was not to treat a medical need, but to improve his power to weight ratio ahead of the race. Team Sky have strongly refuted that this is the case, arguing that triamcinolone was used for medical reasons only. The Report did not find that Bradley Wiggins cheated. It is important to point this out, because if you have been following the British media over the last year, you could be forgiven for thinking that UK politicians had uncovered the British version of Lance Armstrong. Wiggins argues that his use of triamcinolone was to treat asthma aggravated by pollen. There is nothing to suggest that he is not telling the truth. Wiggins had a TUE to use triamcinolone – a corticosteroid – in competition, and no TUE is required to use it out of competition. The DCMS Committee is protected by Parliamentary Privilege, which grants it protection against civil or criminal liability for actions or statements made during the course of their duties. Bearing this in mind, the language used in the Report is extremely measured. Despite what has been reported, the DCMS Report didn’t conclude that British Cycling or Team Sky had abused the TUE system in order that their riders should gain an advantage. The Committee only believes that is what may have happened. This belief was based on evidence provided by a single anonymous witness, ‘who held a senior position at Team Sky at the time of events under investigation’. That source has also provided the DCMS Committee with ‘confidential material’ regarding the medicines policy at Team Sky during the period covered by Wiggins’ TUE certificates for the use of triamcinolone during competition periods. The source told the DCMS Committee that Wiggins and a smaller group of riders were training separately from the rest of the team and were using corticosteroids to ‘lean down’ in preparation for races. It is understood that as the whistleblower’s evidence is confidential, it has not been seen by Wiggins or Team Sky. In other words, they have not had the chance to reply. Given that allegations that British Cycling, Team Sky and Sir Bradley Wiggins had used the TUE system to cheat were based on illegal hacks by Fancy Bears, the context to all of the above allegations is all important. Last year, it was found that an agency of the Russian State was behind Fancy Bears, so it perhaps surprising that the perception that cheating took place perpetuates. Bad record keeping by British Cycling and Team Sky certainly didn’t help allay that perception. On the face of it, the email obtained by the BBC only shows that Dr. Freeman sent the Testogel back to the company that supplied it. He may have to explain why it took him five months to do this, but there is no crime in delay. As mentioned, the MPTS will be examining whether the email was a false statement designed to cover his tracks, but on the evidence of the email alone, this would be very hard to prove. What may be key is the ‘of interest’ information that UKAD supplied to the GMC, which it is understood will have been passed on to the MPTS. It is also interesting that Dan Stevens alleges that the amount of Testogel referred to in the email is the same as that prescribed to him by Dr. Bonar, whom the MPTS has already sanctioned for prescribing unnecessary medication for performance enhancing reasons. To reiterate, it has never been found that British Cycling, Team Sky, Sir Bradley Wiggins or Dr. Richard Freeman cheated. 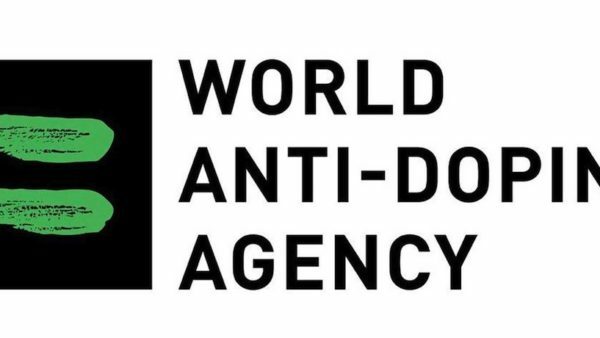 The allegation stemmed from illegal hacks performed by an agency of the Russian State, which the US Department of Justice (DoJ) has concluded was set up in retaliation for sanctions levied on Russian sport for systemic manipulation of the anti-doping system. The only thing that has been exposed to date is bad record keeping, and we will have to wait until March to find out if Dr. Freeman will be sanctioned for anything more than that.